A Beloved analysis essay discuss the novel by Toni Morrison, which tells the story of the haunting legacy of slavery and its impact on the present. Written by Toni Morrison and set in the years of Reconstruction following the Civil War, Beloved tells the story of the haunting legacy of slavery and its impact on the present. The main character, Sethe, kills her two-year-old daughter rather than see her placed back into slavery; a ghost named Beloved, presumably Sethe’s lost child, returns to haunt her after she has secured her freedom. One of the leading themes in the story is that of the connection between mother and daughter. While that bond can sometimes be harmful – such as when Sethe killed her daughter as a means of protecting her from the horrors of slavery – even the worst actions are meant with the best of intentions. After she believes her daughter has returned to her, Sethe is willing to sacrifice everything for her; she essentially starves herself and denies her family their needs all in the hopes of providing for the child that has come back to her. Morrison emphasizes this bond to shed light on the destructive role that slavery could have one the mother-child relationship, both physically and emotionally. Just as mothers and their children could be torn apart via slave sales, so too could their emotional connection be ripped to shreds in the face of the hardships of the life of slaves. The book also focuses on the inability of the characters to look forward; Sethe, for example, is perpetually shackled by her past. Her guilt over killing her child comes back to haunt her; the remorse she feels as a result of her actions causes her to neglect the present. Her past has manifested in a way that becomes the centerpiece of her very existence. Her once-lost child, the physical manifestation of Sethe’s past life as a slave and her past mistakes as a mother, color her present, and it is only when she is able to break those bonds that she is able to move forward. Cultural Awareness - Psychology of Blackness, also referred to as Black psychology. African American Experience Research Paper studies female authors such as Toni Morrison. Value of Literature Custom Written Essays - Toni Morrison, Alice Walker and Maya Angelou make the American Library Association's list of most challenged books from 1990-2000. Sweat by Zora Neale Hurston essays on the Short Story by Hurston. Sula Toni Morrison research papers discuss the story, written by Toni Morrison, of the friendship between Sula and Neland examine issues of good and evil. African Slavery - To discover the answer, historians have scoured the evidence and written book upon book on slavery. Dessa Rose research papers look at a book based on slavery that represents the complex relationships between whites and blacks. History of Slavery - Stanley Elkins Slavery research papers and book report on a comparative analysis of Elkins' historical interpretation of slavery. African American Soldiers and the Civil War - The issue that had been dividing America into North and South was slavery. African American Women - African American Women research papers examine the impact that women had on the advancement of all African Americans, particularly the. Barn Burning book reports delve into a short story by William Faulkner. African American Experience research papers study female authors such as Toni Morrison, Alice Walker, and Zora Neal Hurston. 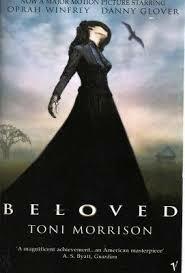 Beloved by Morrison - Beloved by Morrison research papers give a characterization of a central character in the novel Beloved. Summary of Beloved - A summary on Beloved analyze Toni Morrison's novel about a haunting tale of slavery and its impact on family relationships. Paper Masters writes custom research papers on A Beloved analysis and discuss the novel by Toni Morrison, which tells the story of the haunting legacy of slavery and its impact on the present.